Speaker cone edge PVA sealer. Vinyl emulsion. Our special formula Foam Guard PVA vinyl emulsion sealer is designed to extend the life of new foam edges by preventing moisture absorption, microbial attack, and UV damage. Dries clear and flexible. One bottle will treat 6 to 8 speaker surrounds. It is also used on professional speakers to seal and treat fabric or cloth cone edge suspensions, and to seal and dampen paper edge cones. Foam Guard works great... all speaker surrounds now completed... could increase bottle size... seems a little expensive...Overall satisfied with results. Exactly what I needed to treat the delicate paper surrounds on the vintage 1984 Panasonic RX 5250 boombox I'm restoring. Speakers should last another 30 year now! A little early to tell if the foam actually lasts years longer after the treatment, but it does give the foam a stronger feel and the speaker sounds great. Plenty of product in the bottle to treat the next couple of speaker repairs if the need arises. The new speaker foam worked like a charm. What was once an old broken speaker with torn surround that rendered the speaker pretty much useless, is now working and sounding like brand new. Thanks for the excellent directions and videos, they made installation easy as pie. Great product. Easy to use. Fast shipping. Excellent product ... much better than replacing the speakers. This Cone Edge Sealer put the finishing touch on the foam edge repairs to my Radio Shack Optimus 50 speakers. Q: Does the foam guard sealer work on the Cerwin Vega foam? And when do you apply it? Before or after the outer ring? A: The Foam Guard Sealer works great on the Cerwin Vegas and most other speakers! You will apply the Foam Guard to the Cerwin Vega foam after you complete the repair. Apply a liberal amount of the sealer all they way around the foam. Use the supplied brush to evenly spread the Foam Guard. You only apply it to the top of the foam. When the sealer goes from white to clear it is set and you ready to re-install your speaker. Was this answer helpful? 21 of 21 Customer(s) found this Answer helpful. Q: Does the sealer have any effect on sound; does it allow the foam to still breathe? Also, will it extend the life of speakers used indoors? Thanks for your reply. A: The sealer will not change or alter the sound. The surround life will be extended indoors or out. A: Yes! As long as the foam is not rotted or deteriorated, you can apply the sealer to extend the life of the foam. Q: I got the Foam Guard sealer to use with a replacement surround foam. How long should I wait for the sealer to dry before installing the new cone? A: The sealer will take about an hour to dry. 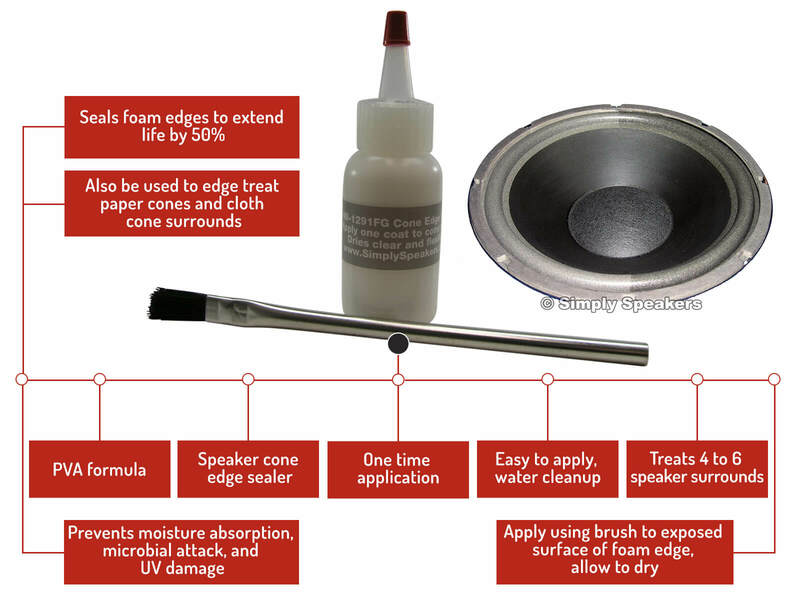 We recommend applying the sealer after you do the repair and before installing the speaker back into the cabinet. A: Yes, this would be a perfect example of when to use the Foam Guard Sealer. 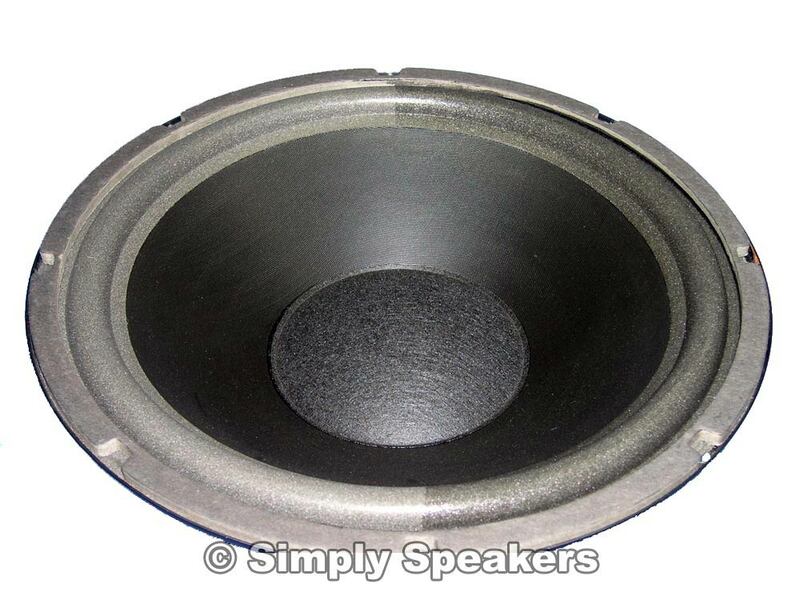 It will provide a protective moisture barrier that will prolong the life of the speaker. Q: how long to dry still sticky after an hour? A: This sealer will remain slightly tacky permanently. A: Please apply the sealer ONLY to the outside foam edge of the woofer. A: The PVA sealer is not designed for rubber surrounds. Your best bet for rubber surround treatment is any of the silicon based sealers for automotive use. Q: Will this Foam Guard work to reseal pleated-paper surrounds like on an old Bozak B199a woofer. The surrounds are aged and are not air tight anymore. Will this change the compliance of the surround? or make it too stiff? A: Yes! This sealer is perfect for that application. It will not change compliance in any measurable way. A: Our sealer is primarily used for cloth and foam surround treatment, but can be used for tweeter domes if applied very lightly.